The Bic Media Clip ballpen is assembled to order it allows you to have a fully bespoke pen, with a choice of blue or black refill colours. 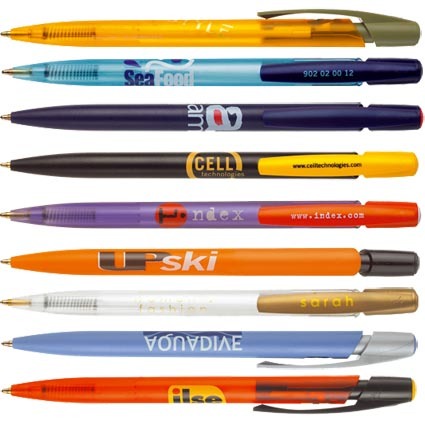 We can also print the clips of the pens for an additional 10cent p.u. There is an extensive range of barrel and clip colours to choose from! Unit price for single colour printing on the barrel: 500 @ 50 cent / 1,000 @ 42 cent.